Here’s a bit of a shocking admission: I actually kind of like the keyboard case. I didn’t expect to. I don’t really ever like keyboard cases. They’re one of the bigger barriers between me and the possibility of ever taking convertibles too seriously as a potential laptop replacement. 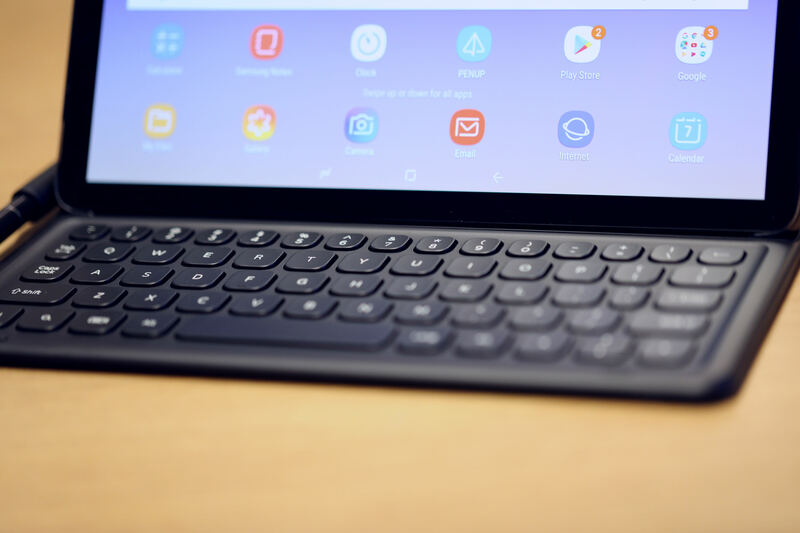 The keys on the S4 are plasticky, sure, but I prefer them to the standard keyboard case found on products like the Surface Go, which basically feels like typing on felt. That said, there’s really no getting around how cramped the keyboard is, when designed for a 10-inch tablet. I considered pulling the Tab out for meetings multiple times this week, but ultimately thought better of it. I’m sure I’d be able to ramp up my speed given enough time with the system, but it ultimately wasn’t worth the potential of missing some important points, as my fingers struggled to keep up. The lack of a trackpad feels like a glaring omission. Granted, it’s not exactly standard on keyboard cases these days, but Microsoft certainly demonstrated that it’s possible on a small scale with the Surface Go. And given the prominence of desktop mode here, one expects to be using the cursor as much as touch here. You can always use the S-Pen or buy a bluetooth mouse, but it seems a shame to have to add that cost on top of the keyboard case’s $149 asking price. 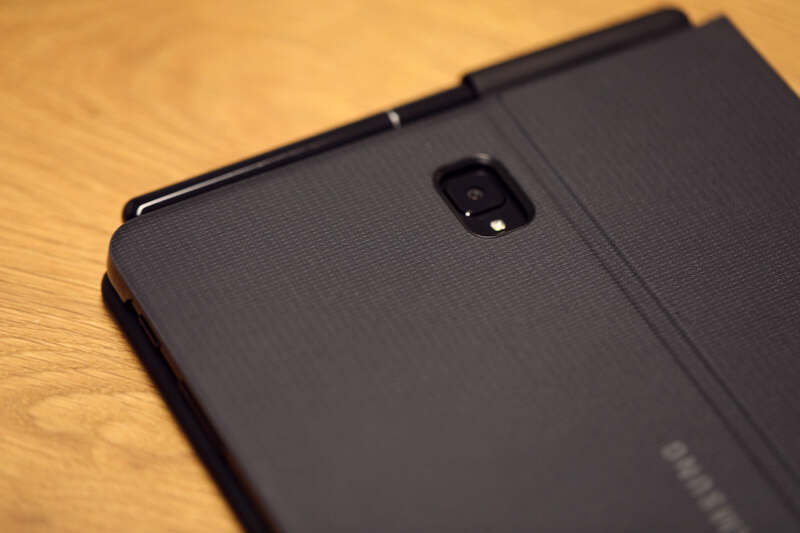 Bonus points, however, for including an S-Pen slot in the keyboard case for those of us who would lose our heads if they weren’t attached. The magnetic Microsoft pen that sticks to the side of the Surface is still the one to beat, but the holster does the trick, too.